Honeymoon photography is a trend that has been around for some time now, but has really picked up the last couple of years! Here’s everything you’ve ever wanted to know about this trend which everyone seems to be indulging in. Honeymoon photography is when you get your photos taken, as a couple, during your honeymoon. It is just like your pre-wedding shoot or post-wedding shoot, except the location is where ever you are going to, for your honeymoon. Yes, couples are indeed flying in their wedding photographers to where ever they’re going for their honeymoon and getting their photos taken. Wow, that sounds really expensive! Is it even worth it? Well, if you’re going somewhere really exotic on your honeymoon, think about the beautiful location which will form the backdrop of your photos! Not to mention the additional chemistry (wink wink), the cute honey moon clothes you’ve picked out, and the freedom of being able to pose in which ever way you like without worrying if you’re going to run in to anyone you know (if anyone has taken their pre wedding photos in Thiruvanmiyur beach, they know what I’m talking about). So yes, you’re going to be getting some beautiful photos. I like the idea, but can you tell me a more budget way to do this? Why, of course I can. Instead of spending money flying a photographer in, and providing accomodation, etc apart from the cost of the actual shoot, hire a local photographer instead. 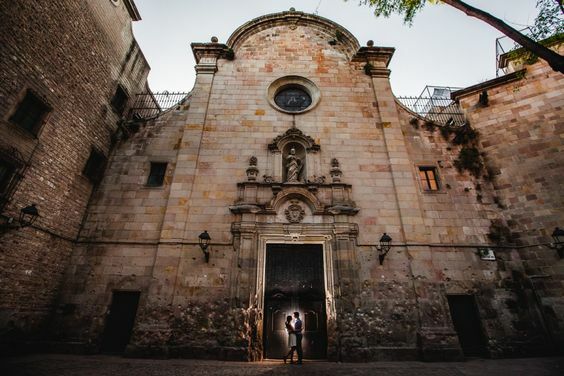 Europe in particular, has some extraordinarily talented photographers who specialize in couple shoots, not to mention they know way more about the place than you would. This means that they’ll know exactly where to take you to get the best out of the backdrop. Do your research a good three months before, don’t hesitate to email photographers for a quote, and make your booking! You’ll be surprised at how much you’ll save for the beautiful photos that you get. Is there any other wedding trend you would like desmystified? Let us know in the comments!